This product is practical but don't use it for everything! Many of us can't do without fabric softener. Whether it's to perfume our clothes, remove the static or even dust the house, it's a practical and versatile product. However, not everyone knows that there are certain things that must not be done with fabric softener. There is nothing more annoying than getting out of the shower and having to wipe with a stiff, brittle towel. While a little fabric softener can help keep your towels smooth and fluffy, too much of it can also reduce their absorbency, which kind of defeats the purpose. To refresh or soften your towels, add a cup of white vinegar to your next load, plus half a cup of baking soda during the rinse cycle. Because of its chemical properties, the fabric softener can make rough or damage certain materials. Avoid using it on microfiber, just like towels, it can affect the effectiveness of its absorbency. Fabric softener should also be avoided on special fabrics such as wicking sportswear, children's clothing, flameproof pajamas, or water-resistant items and synthetic fabrics such as polyester or any other item containing elastane and nylon. It is best not to use fabric softener on baby clothes. First, because many baby pajamas are made with fireproof materials and the fabric softener can reduce its effectiveness. Babies also have more sensitive skin, and may be irritated with harsh chemicals like fabric softener or regular detergent. To keep baby's clothes soft without adding unnecessary risk, use detergent made for baby clothes. 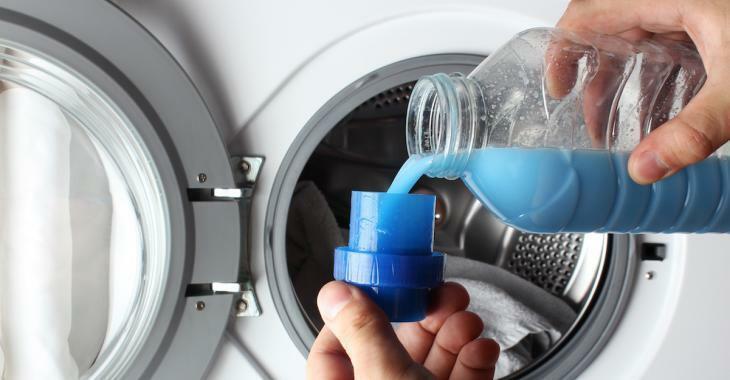 Unlike stain removers, fabric softener is meant to be used in the washer. Applying it directly on clothing can leave stains and oily, waxy spots that might be difficult to remove. So, make sure you're not over-loading the machine so water can circulate and dilute and distribute the softener and detergent. It is difficult to give up laundry products, but if you are concerned about the environment and you want to do a green cleaning, you have to consider completely giving up the fabric softener. According to the Environmental Working Group, an organization that rates the safety of household products and foods, many fabric softeners contain harmful chemicals that can be harmful to our body, from aggravating asthma to irritating skin. Some experts link the BPA in fabric softeners to a higher risk of cancer. If you are looking for a more natural alternative to fabric softener, try some wool dryer balls of wool or use white vinegar in the wash.